Lunch is often the overlooked meal—barely a speed bump between morning and afternoon. 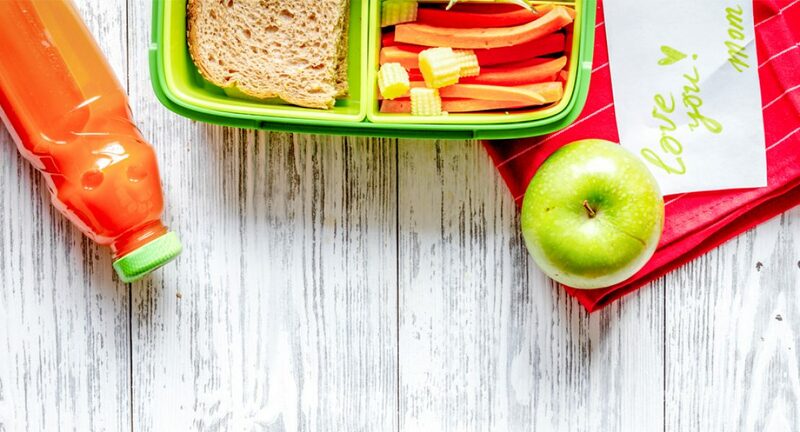 Yet researchers have found that students who attend schools that contract with a healthy school lunch vendor score higher on state achievement tests. “A well-balanced diet provides nutrients that a child needs to supply energy for study and play, and to attain normal growth and development,” says Kim Campbell, MPH, RD, LDN, CDE, a diabetes educator with the St. Luke’s Center for Diabetes Education in Center Valley. Strike a balance: A healthy lunch provides a whole grain, a protein source, dairy, and vegetables or fruit. It’s good to provide at least three different food group choices per meal. Look at choosemyplate.gov for details on food groups and lists. It’s often tempting to include a sweet treat, but it’s best to make this a small weekly option instead of a daily thing. Go bite-sized: Small kids like small food. Mini bagels, pita bread, crackers, or wraps cut in slices are easy to manage. Fill ‘em up with something that provides protein such low-sodium deli meat or leftover roast chicken, sliced cheese, peanut butter, hummus, or beans; and add some crunch with carrot shreds or sliced cucumbers. If your kid’s the DIY type, package ingredients separately so they can build their own mini sandwiches at lunch time. Prep ahead: Gathering items the night before will save you some stress in the morning. Cut bell peppers, carrots, or celery (perfect for ants on a log!) when making a salad for dinner the night before. Slice up leftover chicken breast or another meat. Put some grapes, kiwi pieces, or a half cup of berries in a plastic container. Package it all up and grab ’n go in the morning. Use time-saving foods: String cheese, hummus cups, yogurt, and fruit you don’t need to wash (like easy-to-peel clementines) make lunch prep easier. Snack-size portions of edamame may be found in the frozen food aisle, which will thaw through the morning for a cold, healthy treat at mid-day. Baby-size lunch box peppers, which can be eaten whole, are also a smart pick.